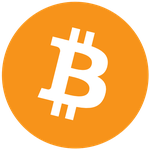 JULY 16, 2014—BitcoinMagazine and the College Cryptocurrency Network (CCN) are pleased to announce the first ever, “Back-to-School with Bitcoin” issue this coming September! Guest-edited by CCN Executive Director, Jeremy Gardner, this issue of the magazine will be dedicated to covering youth in bitcoin, perhaps the most important demographic in bringing blockchain technology to the mainstream. To ensure that this issue of Bitcoin Magazineis chock-full of the brightest young minds in cryptocurrencies, the magazine will be rewarding the top-five student submissions with Bitcoin prizes, which will be made possible by generous donations from our sponsors, in addition to being published in both the print and online edition! Furthermore, there will be a graphic design competition for students who, if selected, will see his or her work featured as the cover of September’s issue of Bitcoin Magazine. Lastly, the issue will feature academics and other top thinkers regarding the exciting innovations in the space. To submit your Bitcoin story or graphic design, please email [email protected]. To sponsor a reward or advertise in the first-ever Back-to-School with Bitcoin issue, contact [email protected]. The team at Bitcoin Magazine and the College Cryptocurrency Network look forward to reviewing your submissions in what is an exciting first for the Bitcoin community.